Speaking at the 12th annual Morgan Stanley Technology, Media and Telecommunications conference, T-Mobile CTO Neville Ray and T-Mobile COO Jim Alling both spoke about the company’s future with MetroPCS and the industry beyond. For Alling’s behalf, he discussed the idea that more industry consolidation is coming and that the possibility of going from four national carriers to three remains a distinct possibility. “Is it possible that four major players could go down to three?” Alling said, according to Bloomberg. “I think that is possible, and likely in the longer term. I don’t know how likely that is, based on the current regulatory environment” of the Obama administration, which moved to block AT&T’s (NYSE:T) proposed $39 billion acquisition of T-Mobile last year. Ray believes there is short-term and medium term opportunity for the company to aggressively grow and take on customers that may grow frustrated with AT&T or Sprint. Allling expects that the company can move to halt customer departures and begin posting “moderate growth” in contract subscribers sometime in 2014. In other news, apparently Google is considering partnering with Dish Network on creating a fifth major network. If that network is as major a game changer as, say, their new broadband network, then things are going to be very positive for phone users. AT&T and Verizon suits probably got heartburn when they heard that. I would love to have a true gamechanger in the market, but google partnering up with dish is not that person. they only have 40mhz and it is in the s-band, which is 2ghz. Competing with ATT/Verizon is going to take a decent amount of >1Ghz spectrum. Lets Also,lets not forget that Dish has 0 towers, and unless they host on Tmobile/Sprint, they are not going to have nationwide coverage for a long time. People who want a true game changer should be looking at NewCo and New Sprint, because those are likely to be our only choice. Dish has 700mhz, but it is 6mhz unpaired and not nationwide. So what does this mean? I don’t really get it. I like when you add your thoughts at the end, David. They think there will be more buying/selling/merging? It means two executives are talking before a bunch of investors saying that down the road, two of the big four wireless carriers might merge. It’s just a guess, I don’t know what they base that speculation on. Wallstreet likes constant growth and right now growth in the wireless sector is slowing down so it’s one of the things they probably want to hear. You still have the current make up of the DOJ that wants 4 national carriers so if there were to be a merger it might not be attempted in the next 4 years, or if it is it could come with heavy strings attached. Personally I’d rather see a pooled nationwide network, similar to UK’s Everything Everywhere, where several entities are splitting the cost of running and upgrading the network. Add the iPhone to your line-up OR PERISH! Tmobile buying up a large prepaid carrier is HORRIBLE for those of us who would prefer to jump into a no-contract scenario. Of course Tmobile wants to buy up the competition! That is where Tmobile is headed! Value plans! Cheaper YES…BUT they make up for that in OVERPRICED phones! So now soon we will have NO decent pre-paid alternatives! Funny how soooo many people cried when it came to ATT doing the EXACT SAME THING….buying up the competition. $599 for example for the SG3 at tmo and $499 MetroPCS…OF COURSE tmobile wants to buy the competition! You do know that T-Mobile and MetroPCS will continue to operate as two different companies with two different names and that pre-paid will remain a big part of their business model. Right? Are you seriously crying over $100 bucks? There are other pre-paid options available. He doesnt know that and neither do you as you are wrong. But…go on…. Actually he is correct. It was plainly stated in the press release and on many company webcasts that the 2 companies will operate independently until the LTE network is complete and a large percentage of metro customers are migrated to T-Mobile handsets. That will take at least 1 1/2 years if not more. It has been posted many times in many places. A simple Google search. Thanks for the back up TMOTECH. T-Mobile also has a prepaid option, e.g., “Monthly 4G”. They’re also the most common network used in MVNOs. Simple Mobile, Straight Talk and Solavei both use T-Mobile. Straight Talk is the only one of the three who also offers an AT&T option. I think that there are more MVNOs using AT&T’s towers. Red Pocket, H2O Wireless and Jolt are the ones that I can think of off the top of my head. Which ones have more subscribers is a different story. It’s only $599 this weekend. $549 actually on Sunday and after.. Does the metro s3 have the same specs with 2gb ram? I really don’t recall but I’m thinking it was missing something. You pay more for the phone but pay less per month. This is how its always been. Don’t like it? Shut the hell up or buy from eBay. The problem with most people is they still rely on the subsidy to purchase their phones. Google is making good strides at reducing the overall cost of purchasing a phone. Hopefully, others will follow, but I doubt since unless you’re Apple, the hardware business doesn’t have that great of margins. As far as buying up the competition, it was only logical that T-Mobile purchase Metro given their spectrum holdings. I doubt it had everything to do with their phone prices. T-Mobile can sell phones more expensive than the competition, but the bulk of any of their revenues come from the service, not the hardware. Personally, as long as they continue to support T-Mobile’s frequencies, I’ll be buying Nexus phones. Cheaper and with excellent specs. You could also probably buy your phone from a third party vendor as well. Tmobile is expected to get the iphone in 2013. They just need to upgrade their network which is in the works. So your comment seems uninformed. when you mean “expected to get the iPhone”, do you mean officially with Apple’s support, or via network re-farming? If its the former, chances are low, as they already spent good time and money for the latter. android is already close to 80% smartphone market. In another year or so, probably even more. I suspect that blackberry would get on par with iphone this time next year. No one will be talking about iphone except the most ardent apple FBs. No! The US needs more national carriers than Canada does, seeing that Canada has only one-tenth of the US population. wait im not sure what they mean by “Is it possible that four major players could go down to three?” do they plan on being bought by someone else in the future or buying one of the big 3? I think this is a signal for a potential buyout from Sprint/SoftBank. I don’t think it’s any secret that DT wants to get out of the US and they’re going to use Metro to do it. Not now, but several years out. By that time LTE will be dominant so I don’t think merging different technologies will matter as much as it does now. T-Mobile may still be around IMO. They always pull through some how. Around the tri-state area(i’m in central/northern Jersey)…I hear more complaints with Verizon(high prices and holding phone updates), Sprint(Poor service overall), and At&t(high prices and some service/data issues) and no so much of T-Mobile. I think Sprint may be knocked out of the game. Also during Hurricane Sandy it seem only T-Mobile and Verizon had service. At&t was shot and I think Sprint was too. I got a little theory for ya. There’s at least a moderate chance DT still wants out of the US wireless market, right? If that’s true, what do you think are the chances they would sell their majority shareholder status in the T-Mobile/MetroPCS “NewCo” to Google a little down the road? I may be dreaming, but stranger things have happened. Any thoughts on this? That wouldn’t mean the NewCo is going out but just transferring hand per your theory. T-mobile is not merging with Google stop talking nonsense. I think the prepaid divisions and MVNO’s are going to flourish and become the real winners soon, especially if they let off on the data caps. Consumers are getting smarter in the US and realizing that being tied to a contract just to get their favorite phone for “cheap” is stupid. Value plans are ok for family plans, I guess. They still get you with the $35 activation fees per line, and the silly little extra fees that come on your bill every month. Me personally, I’d love to see the no-contract Even More Plus plans return. They were basically the same as Value plans without a contract, but with all the benefits of a contract. I had EM+ all the way up until awhile back I switched to the Monthly4G $30/mo 100 min, unlimited text, unlimited 4G (5gb) plan to save some bread. Not a massive talker and I’ve learned to deal with a 100 cellular minutes and just make other extended Google calls thru Talkatone. I also sometimes pay just $3 bucks a month for unlimited Skype calls that lets me call anyone using my T-Mobile cell #. This alternative is very solid on my home wifi, and here in Chi-town where the T-Mo 42mbps network is extremely solid for VOIP call. 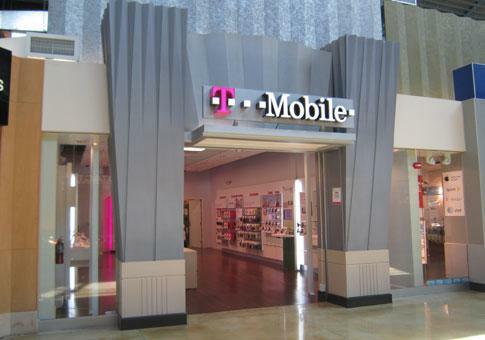 T-Mobile may attract customers frustrated with AT&T or Sprint? Once they switch to T-Mobile they’ll find out what real frustration is. Google is contemplating getting into the game and if they do that will be a game changer.